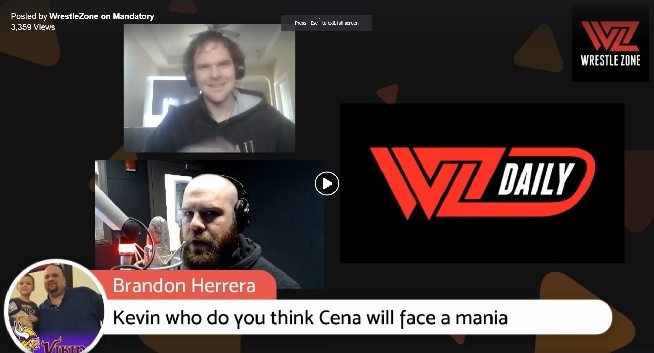 WZ Daily Podcast: Who Do YOU Want Angle To Face At WrestleMania? So much news with WrestleMania just weeks away! Kurt Angle is on his farewell tour with his last match going down at ‘Mania but is WWE going to change course with the fan-detested Baron Corbin as his final opponent? Could all of this change on tonight’s WWE RAW in Boston? What do fans think of Ronda Rousey, Becky Lynch , and Charolotte‘s triple threat match getting the main event for the big show? Has Ring of Honor and New Japan Pro Wrestling announced a card for G1 Supercard to satiate the sold-out Madison Square Garden on April 6th? All these questions will be answered plus whatever queries you have for 101WKQX’s Kevin Kellam in the most interactive wrestling talk show, WZ DAILY!